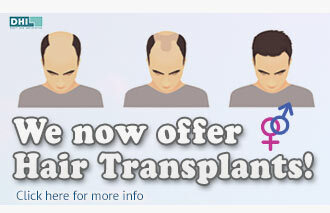 Cosmetic Surgery Partners :: We are nominated for a Top Choice award! We are nominated for a Top Choice award! UPDATE: We are very happy to announce that we have won the Top Plastic Surgery Clinic of 2019 in London, England category! What a great way to start the year! We’ve been nominated for the Top Plastic Surgery Clinic of 2019 in London, England, a highly sought-after and patient-nominated Top Choice award, and we’re so thankful to all of our patients that have taken the time to independently vote for us. Qualifying for a Top Choice award sees satisfied customers independently nominating their favourite providers and companies, in this case their top plastic surgery clinic in London. For the past 8 months, Top Choice Awards has been accepting nominations from people in over 29 cities across North America and Europe. Each nomination undergoes a diligent qualification process and after 25 nominations your favourite company is nominated for in its award category. This means Cosmetic Surgery Partners London are officially qualified nominees and we are through to independent voting! Being independently nominated for this reputable award shows us that we are recognised and trusted by many of our patients, and for that we are forever grateful and humbled by your constant positive feedback. Voting for your favourite plastic surgery clinic in London is now open as of November 1st, and you have until January 2nd 2019 to cast your vote. If you have had a positive experience with a member of our team of skilled surgeons, please vote online. It’s a quick and easy to share your experiences with us and recognise a team that prides themselves on high-quality patient care. Here at Cosmetic Surgery Partners, we have a team of skilled cosmetic and plastic surgeons that provide high-quality solutions for our patients. We’re excited to welcome two new additions to the team, Mr Naveen Cavale and Mr Davood Fallahdar. Mr Cavale is especially skilled in rhinoplasty (or nose jobs), but also boasts experience in reconstructive surgery, corrective eyelid surgery, and breast surgery in both enlargement and reductions. Mr Fallahdar consults for us as a Face Lift Specialist, but also has ample experience in reconstructive surgery and breast surgery. 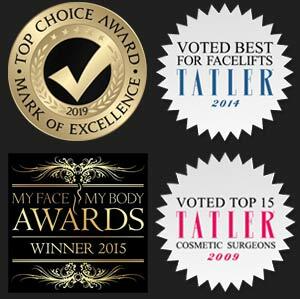 As previous award winners, we’re proud and thankful of the recognition that has been bestowed upon use ever since two of our surgeons, Mr Nick Percival and Mr Dai Davies, were awarded positions within Tatler’s Top 15 Cosmetic Surgeons in 2009. Two years later we were awarded with Britain’s Best Cosmetic Surgery Practice and Cosmetic Surgery clinic of the Year at the Exchange Awards. We appeared in Tatler again as our surgeon Ms Caroline Mills was voted Best for Facelifts in 2014, and 2015 thrilled us with the award of Best Aesthetic Clinic in South England & Wales at the MY Face MY Body Awards. As a team that is constantly evolving and seeking the next surgical advancement, we pride ourselves on our industry recognition and patient satisfaction. Vote now for Cosmetic Surgery Partners London for your Top Plastic Surgery Clinic of 2019 in London, and once again thank you for your nominations!